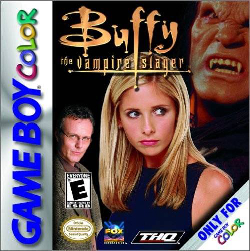 The 2000 Buffy the Vampire Slayer Game Boy Color was the first of five official games released based on the television series of the same name. It is set in the fourth season of the television series. Additional games have been released by other developers and publishers on a variety of platforms.